Our aim is to deliver you the highest on your investment and therefore we take utmost care on the every conveyor belt we manufacture, the offered lozenge pattern marble conveyor belt is the best paradigm of thereof, which is designed exclusively configured for the marble conveying requirement and therefore is also recognized as the marble conveyor belt in the miscellaneous industries. The offered lozenge pattern marble conveyor belt has proven its potential by performing impeccably for heavy load applications and hence it has become the indispensable part of the enormous industry associated with the heavy load material handling system. The use of the modernized technology to procure vulcanized PVC/PU material and stringent quality checks against its impact strength ahead of inputting in the construction has enabled us to bring off the sturdy, durable, reliable conveyor belt on which customers can blindly trust for heavier load applications. Further, the Lozenge Pattern PVC/PU cover helps generate enough friction that is essential to prevent the slippage of the marble while conveyed at the steeple angle, which makes it the best companion for the flat conveying as well as inclined conveying of the marble or other flat surface heavy load materials. 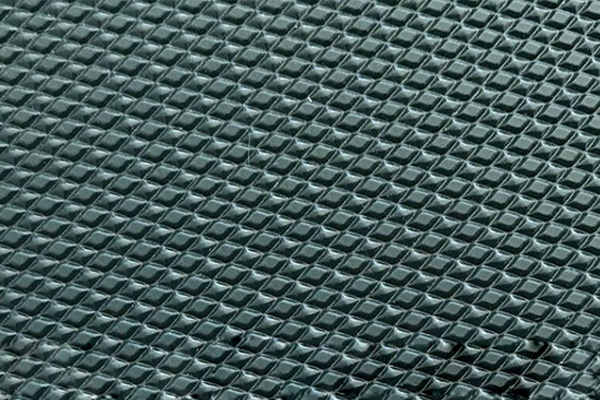 Other than, to impart abrasion, tear, heat, weather resistance, we have made use of the best in class quality PVC/PU material that gives you a lot more than your investment, thanks to our experience and technological know-how, that enabling us to carry out the best in class quality lozenge pattern conveyor belt at affordable rates, which is accessible in the variety of the dimensions as per your application requirement. Besides that, our custom made marble conveyor belt is highly applauded for fulfilling the exact requirement at the most competitive rates. No matter, what type of lozenge pattern conveyor belt, you select for your need; is ISO compliant and hence ensures highest altitude of the safety and reliability.